On this page you'll find a selection of items belonging to the group of beverages. Through the links on this list of foods that are beverages and you will know their properties and amount of nutrients that each food has. Below is a list of foods belonging to the category of beverages. Clicking on each one of them, you can view the properties of oils and nutritional information in addition to the benefits to your body. 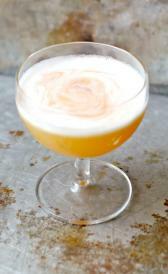 Powder whiskey sour mix: High in carbohydrate, total sugars and calcium and low in water, protein and total lipid. Bottled whiskey sour mix: High in total sugars and low in protein, total lipid and ash. Chocolate syrup: Chocolate syrup is high carbohydrate, total sugars and copper. On the other hand. is low in protein, total lipid and calcium. Powder cocoa mix: High in ash, carbohydrate and total sugars and low in water, vitamin c and niacin. Canned grape drink: In this food there are some nutrients that are found in low quantity, for example protein, total lipid and ash. Canned grape juice drink: Canned grape juice drink is low in protein, total lipid and ash. Powder lemonade: This food has a low quantiti of water, protein and total lipid but has a high quantity of carbohydrate, total sugars and magnesium. Malt beverage: In food has a low quantity of food energy, protein and total lipid. Chocolate fast food shake: In this food there are some nutrients that are found in low quantity, for example iron, manganese and selenium. Vanilla fast food shake: This food has a low quantiti of total dietary fiber, iron and manganese but has a high quantity of riboflavin. 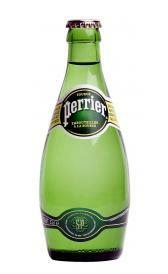 Perrier bottled water: High in water and low in food energy, protein and total lipid. Tap water: This food has a low quantiti of food energy, protein and total lipid but has a high quantity of water. Well tap water: High in water and low in food energy, protein and total lipid. Municipal tap water: Municipal tap water is high water. On the other hand. is low in food energy, protein and total lipid. Brewed chamomile herb tea: Brewed chamomile herb tea is high water. On the other hand. is low in food energy, protein and total lipid. Non-alcoholic wine: In this food there are some nutrients that are found in low quantity, for example food energy, protein and total lipid. Generic bottled water: This food has a low quantiti of food energy, protein and total lipid but has a high quantity of water. AMP energy drink: In this food there are some nutrients that are found in low quantity, for example protein, total lipid and ash. Monster energy Drink: This food has a low quantiti of food energy, protein and total lipid but has a high quantity of riboflavin, niacin and vitamin b6. ROCKSTAR energy drink: ROCKSTAR energy drink is high riboflavin, niacin and pantothenic acid. On the other hand. is low in protein, total lipid and ash. 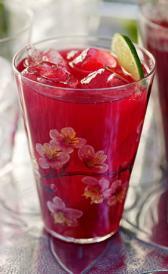 Hibiscus tea: Hibiscus tea is high iron and thiamin. On the other hand. is low in food energy, protein and total lipid. Corn beverage: In food has a low quantity of food energy, protein and total lipid. Orange juice drink: This food is low in protein, total lipid and ash but Orange juice drink has vitamin b6 in high quantity.